The caliber-specific Laser Trainer Cartridge that offers a revolutionary way to train almost anywhere. The Laser Trainer Cartridge is the most realistic training option in LaserLyte's popular line of Laser Trainers with the choice to practice tap, rack, bang or malfunction drills. 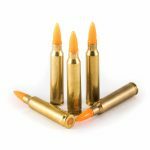 The caliber-specific Laser Trainer Cartridge that offers a revolutionary way to train almost anywhere. The Laser Trainer Cartridge is the most realistic training option in LaserLyte's popular line of Laser Trainers with the choice to practice tap, rack, bang or malfunction drills. Designed to for the popular .380ACP, the Laser Trainer Cartridge fits inside the pistol chamber and features a firing-pin activated switch that indicates bullet impact with a bright red laser dot. For the cost of one or two visits to a local range, shooting enthusiasts can enjoy a lifetime of free training with the Laser Trainer Cartridge at the location that works best for them. Each Laser Trainer Cartridge easily installs into the firing chamber in seconds, works regardless of barrel length and does not stick out of the barrel. 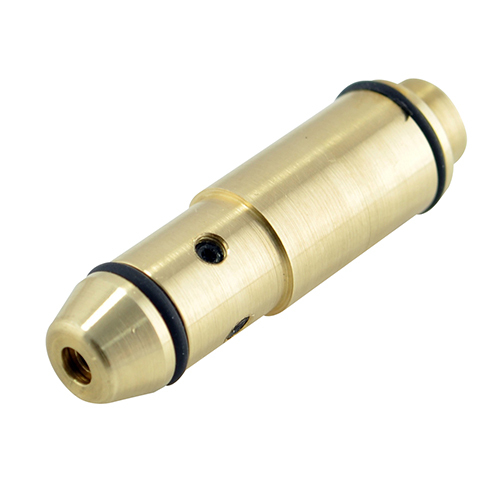 The Laser Trainer Cartridge activates for 100 milliseconds each time the firing pin strikes the cartridge. This modified cartridge is rimless, so the Laser Trainer Cartridge is not expelled during dry fire, which allows for tap, rack, bang or malfunction training drills. A hardened rubber plunger on the laser also acts as a built-in snap cap to protect the firing pin and two rubber rings on the laser help ensure a proper fit in order to best replicate bullet impact for accurate training. The Laser Trainer Cartridge requires three 377 batteries, good for approximately 3,000 shots. – Weight: 0.375 oz./11 g.
Be the first to review “LaserLyte Laser Trainer .380 ACP” Click here to cancel reply.